← I’ve Gone Wool Crazy! I think he turned out pretty cute, but I am planning to make another one this week now that I understand the pattern better. For the next one, I also plan to add on the legs and antenna (I left these off my first one since my son would have likely pulled them off), embroider a mouth, and do something different for the eyes (the wool felt I used for the gold part has started fraying, so I think I will glue the felt down first and then sew on the eye). Also, July 23rd marks my one year blog anniversary!! Thanks to all who have started reading my blog, I hope you’ve enjoyed it. Check back on the 23rd for a special anniversay giveway – I will be pulling something from my stash and giving it away to some lucky reader!! 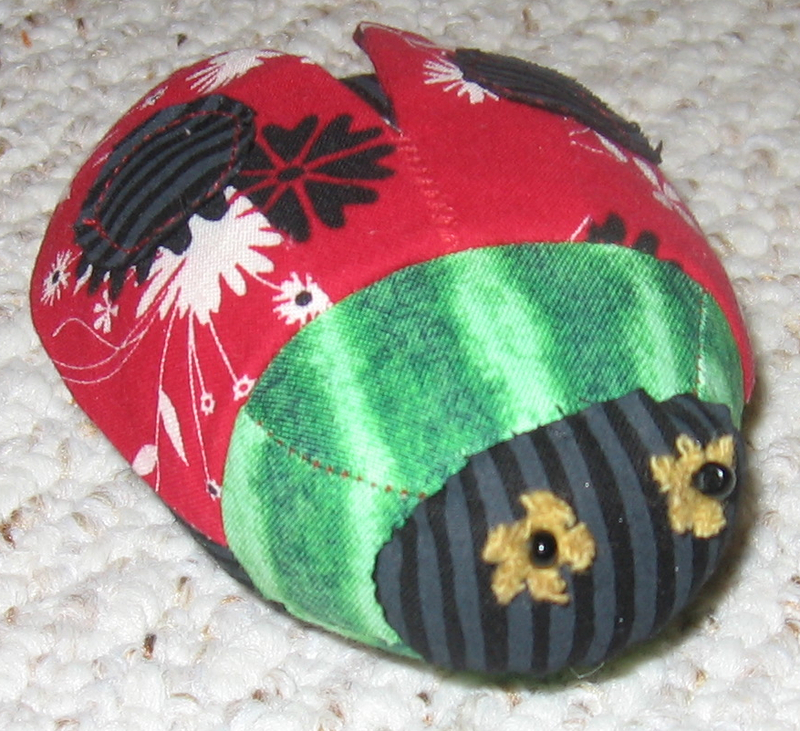 This entry was posted in Dolls and Softies, Pincushions, Sewing. Bookmark the permalink. Too cute!!! Your son is very lucky.